It’s times like these where I miss Christopher Nolan’s Batman trilogy. A GREAT origin story into the dark and mysterious ways of Bruce Wayne aka the man that we call Batman. One Hero. 1-2 Villains. Supporting Cast. Boom. There’s your movie. I now feel like there are 5-8 super hero movies and shows that come out every year and just crowd the market especially now that it’s Marvel vs. DC. I absolutely hate the idea of “let’s put 20 super heroes in 1 movie and just watch them fight.” It’s not my cup of tea. So whenever the Batman trilogy is on (especially The Dark Knight aka The Greatest Super Hero movie ever created), I’m glued to the TV. Last Friday night *Katy Perry voice*, The Dark Knight Rises was on and per usual, I was drawn in. I turned it on when The famous Climb Scene was just starting. AWESOME scene and arguably the most memorable scene in the movie. Listen to “Deshi Basara” to get yourself pumped and I swear you’ll run through brick walls. That being said, I have MAJOR problems with it that bug me every time I watch it. Why didn’t Bruce just climb up to the top with the rope, untie it before the jump, and then go on his way. Why did he have to turn down the rope? It’s not like anyone at the top is monitoring him. This isn’t American Ninja Warrior where you have to climb everything a certain way. He was being held together by a rope at his waist. You’re telling me Bruce Wayne can’t get out of a bow around his waist? This is a man who broke his back and miraculously healed in what felt like a few weeks. HE BROKE HIS BACK AND SCALED A GODDAMN WALL. I think he can get out of a rope. I’ve been down the rabbit hole of the Internet on this topic more than a few times. 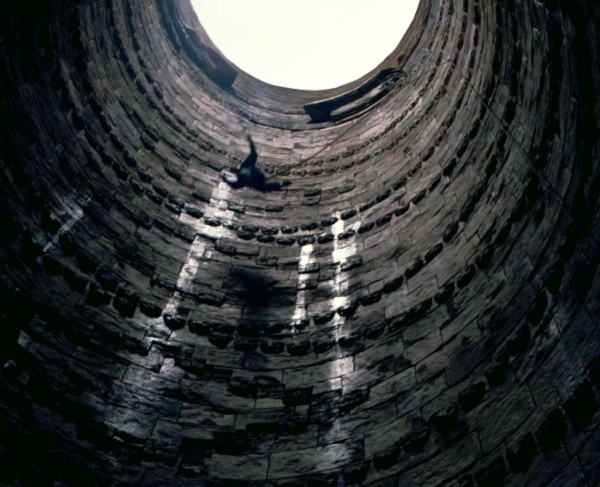 The other common question is why didn’t Bruce just climb the rope out of The Pit if it was anchored to the top? Well, it really wasn’t anchored to the top as you can see in the pic so I don’t believe he could. How did Bruce not snap his back for the second and third times at the end of his fall? It sounded like the snapping of of sticks. He also hit the side of the wall at the end of the fall. There’s 100% chance he’s suffering from internal bleeding and a concussion. There’s the lasso theory where Bruce could’ve untied the rope, made a lasso, and swung over the other side by hitting the rock above his head where he lands. There are also roughly 10,000 different holes to climb up. Why did Bruce just not keep maneuvering around The Pit until he reached the top? I know, I’m a loser. I swear I go out on the weekends. P.S. 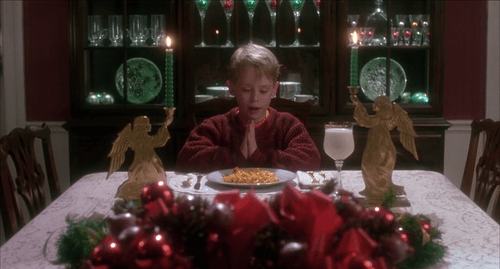 This makes me angry, but the scene I get the angriest about is when Kevin McCallister decides to not take one bite of his mac and cheese before Harry and Marv come over in Home Alone. Can’t fight the bad guys on an empty stomach! JUST TAKE ONE BITE!! P.S.S. I left out the part where Bruce Wayne miraculously gets back to Gotham with no money or resources, but we’ll save that one for another day. Good post, I definitely had many of the same frustrations with that scene. And THANK YOU! Just take one bite of the Mac and Cheese!